Scott is well known for making quality bikes across the MTB spectrum, from Nino Schurter’s multiple World Championship wining Scale to Brendan Fairclough’s Gambler. However, the Swiss brand may not be as well known for producing a wide range of biking accessories and clothing too. Recently we’ve had two of Scotts’ 49(!) 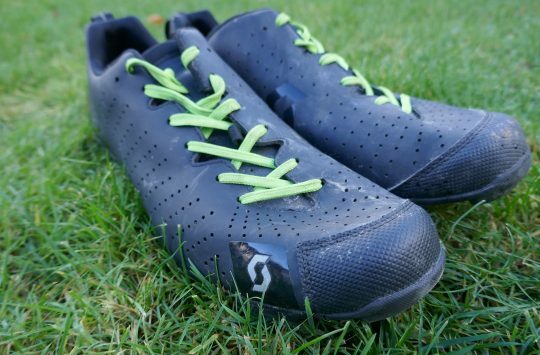 different pairs of shoes on test, and here Ant runs us through the enduro-ready AR BOA Clip Shoe. 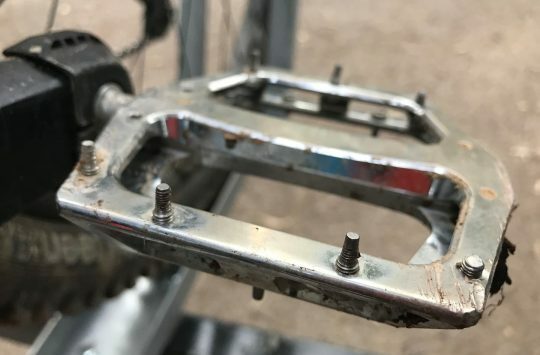 The Scott MTB AR BOA Clip [Ed: catchy name eh?] is essentially a flat shoe that you can clip into. Everything about the shoes screams enduro, with a chunky profile, urban camo side panels and tongue, and fluro yellow highlights. 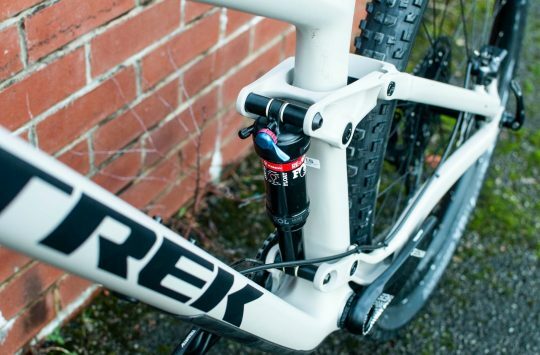 At £159.99 it sits atop of Scott’s trail/enduro offerings. 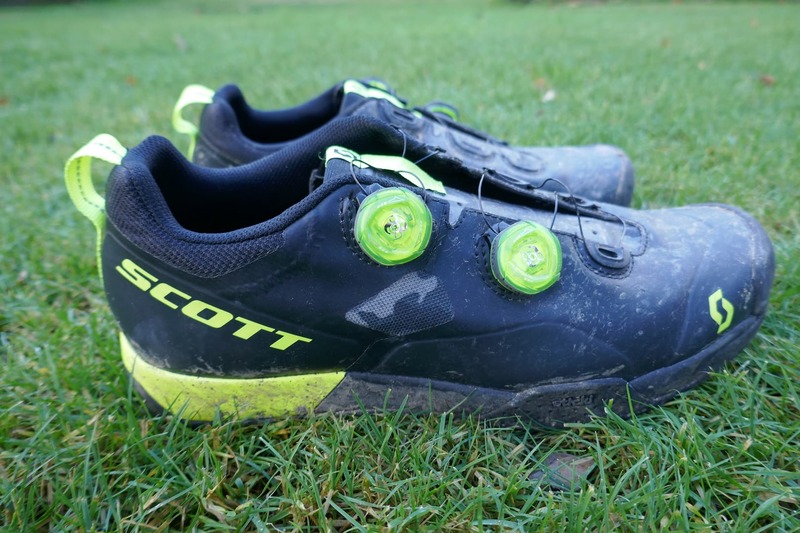 These are Scott’s top-end enduro shoes for riders who like to clip into their pedals. I would be interested to know how the Scott size 45 compares to other brands in regards to width and length. How do these compare to a Shimano or Specialized size 45 and what is the reviewers normal shoe of choice? My experience is these size-up larger. I’ve taken size 46 shoes in various brands but in these shoes had to go down to size 45 to get the right fit. These particular Scott shoes err on the larger side in both length and width. I’ve found them to be bigger than either a typical Specialized or Shimano, width wise they are almost as wide as a FiveTen. I have a pair of these and they do size up a bit bigger – great shoe!